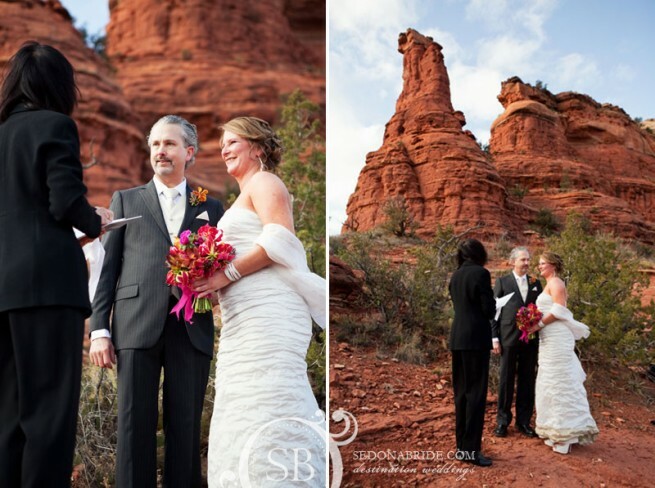 Collectively, the Sedona Wedding Studio’s 90 members provide service for literally thousands of weddings every year. Many of these weddings are intimate elopements that bring a lifetime of happy memories to our couples. 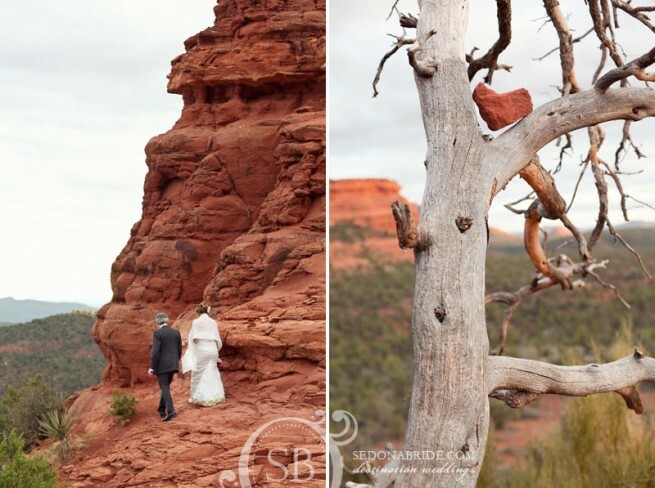 Each and every wedding that comes through the Sedona Wedding Studio is special, no matter how large, small, simple or elaborate. Sedona has something for everyone. 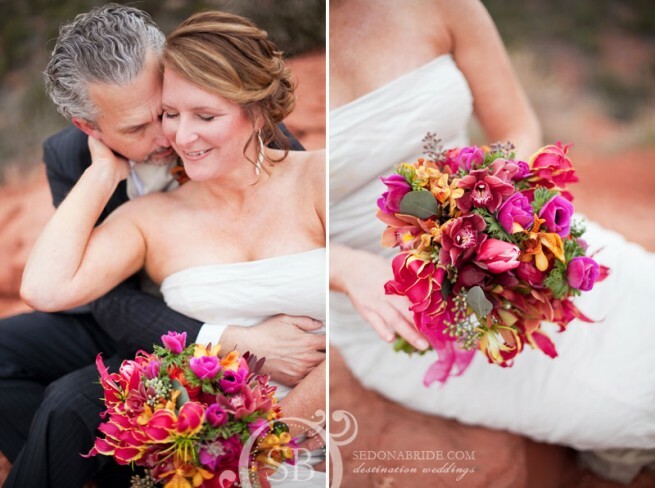 We hope you enjoy this lovely elopement as much as we do. There are countless special spots for a lovely ceremony. The trails in and around Enchantment Resort offer charming areas at every turn. 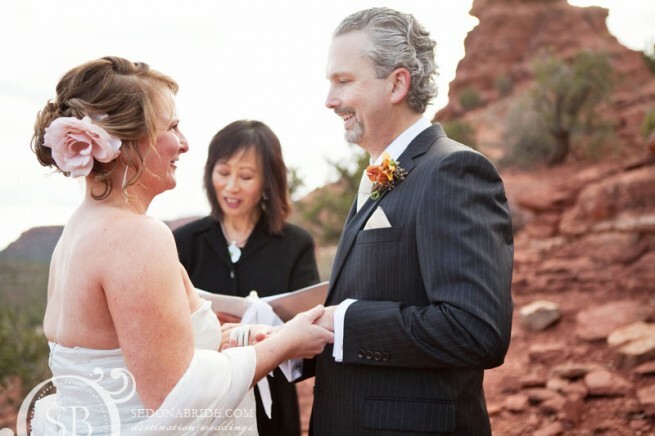 Suzanne Loo McCoy presides over hundreds of Sedona weddings every year making her one of The Sedona Wedding Studio’s most popular officiants. One of Suzanne’s favorite locations is just below the “Kachina Woman” formation, just outside the front entrance to Enchantment Resort. The entire area affords such lovely opportunities for exquisite photography. 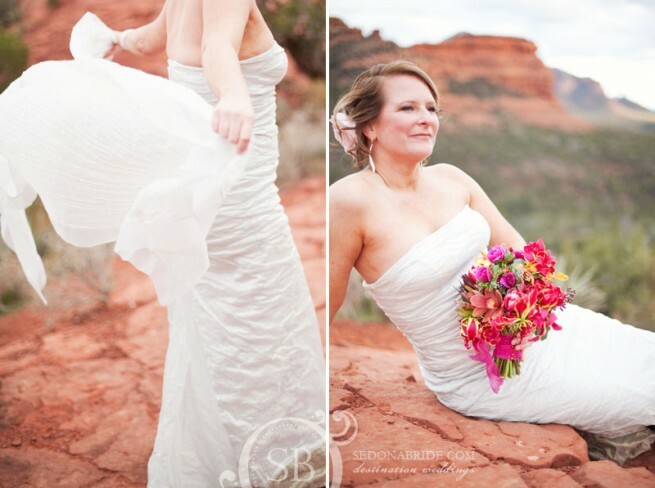 Sedona elopements are becoming ever more popular because of the beauty of the romantic surroundings. Sedona is such an easy destination and easily affordable on any budget. 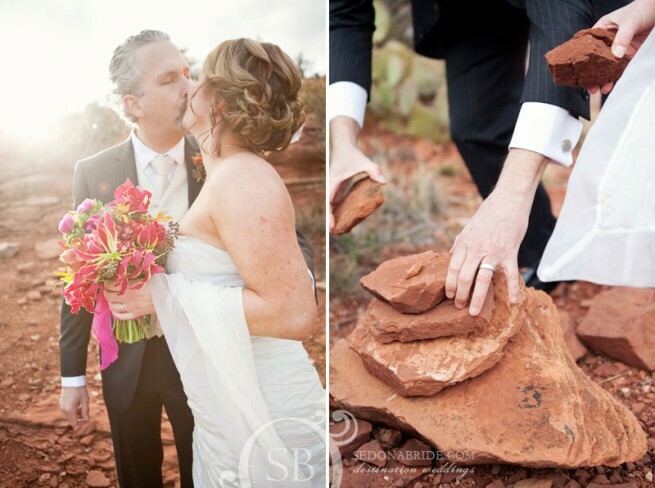 Consider a romantic Sedona wedding for your memories of a lifetime.